Rarely does the location serve as an antagonist? In most films, the environment that nurtures the plot and the characters are captured with affection. Not so in Gali Guleiyan. It is the first film I've seen that doesn't romanticize the location that nurtures the characters' innermost fears of being trapped in the environment that breeds the only stagnancy. Old Delhi, Chandni Chowk is the villain of debutant director Dipesh Jain's haunting parable on desolation and self-destruction. 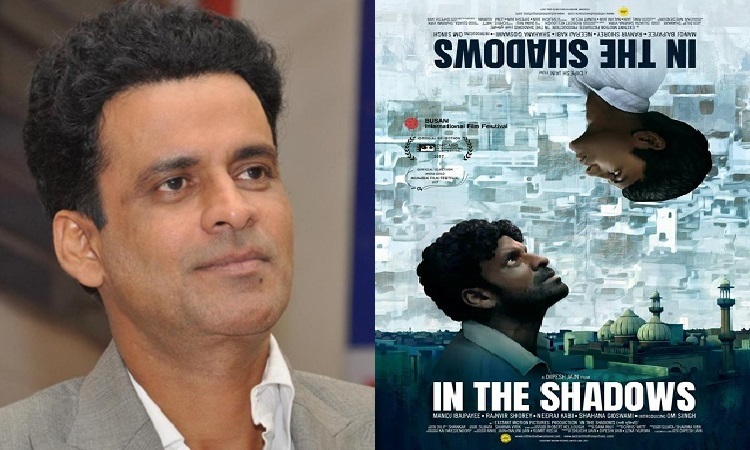 Manoj Bajpai has portrayed loneliness before with remarkable resonance and restraint in Hansal Mehta's Aligarh. Here it is a quality of exacerbated desolation conveying such enerving decrepitude that we soon realize we can't trust Khudoos (Bajpai) to tell the truth to himself, let alone to his only friend Ganeshi (Ranveer Shorey, as reliably solid as ever) or to us, the bystanders who are sucked into Khudoos' world of weltering disaffection. There is a constant flow of ambivalence in the narrative, buoyed by the stifling location. The claustrophobic hemmed-in gullies of Old Delhi serve as suffocating relics of a mind that is rapidly losing touch with reality. Bajpai plays the man on the brink of disintegration with a remarkable degree of anguished control. He is a man who can blow up like a home-made bomb at any time. When Khudoos does explode at a seedy hotel where he is eating and (contrary to law) drinking on a cheap table, he spares us and himself no of his swirling wrath. 'Lekin Khudoos ko gussa kyon aata hai?' As portrayed by Bajpai, Khudoos is the epitome of bitter disenchantment. Life has offered him nothing. He has accepted his state of nullity so far. But now the CCTV cameras that he likes to look at the world through, has captured a young adolescent boy Idris (Om Singh) being thrashed by his father (Neeraj Kabi, as defiantly fearless as ever). The boy, played with unrehearsed sensitivity by newcomer Om Singh, spends most of days gallivanting with his only friend Ginny, and dreads going home to the cloistered sterile environment of dreaded domesticity. It is in the way the narrative brings together the two disparate yet conjoined worlds of Khudoos and Idris that this remarkably sunless dim-lit drama acquires its piercing light of illuminated darkness. At times I felt Dipesh Jain had worked his way backwards from his clever and startling finale. But then there is so much here that is genuinely raw, hurting and hurtful that I quickly banished all possibilities of subterfuge. Writer-director Dipesh Jain takes us into the world of the young and the ones who forsake their youth to become prematurely old. The narrative brings both the past and the present in the same line of vision. It plays a cruel game of deception with Khudoos' mind allowing him access into a world of adolescent pain that he, Khudoos has experienced personally. This empathetic knowledge does not give Khudoos the right to own the pain of a boy who is a mirror-reflection of his own tattered childhood. For what it tells us about desolation and its consequences Gali Guleiyan is an enormously significant work of cinema. Do we care about the person who lives next door? Manoj Bajpai's projection of disorientation doesn't allow us to feel any extravagant empathy for Khudoos. What we feel is his abject wretchedness. Manoj owns every nervous twitch, every slurred word of his character. This is a performance of tremendous skill, bringing to the psychologically disturbed character an aura of imperturbable impunity. And debutant Om Singh's scenes with his screen mother played by the wonderful Shahana Goswami are so filled with warmth, you almost expect the tale to eventually embrace the growing sense of tenderness that seems to mushroom from somewhere deep in the recesses of the suffocating setting. But then life for those who live in inescapable misery is not about a way out, but survival. Gali Guleiyan strips desolation and loneliness of all the romance that Mrinal Sen had brought to Shabana Azmi's face in Khandhar. 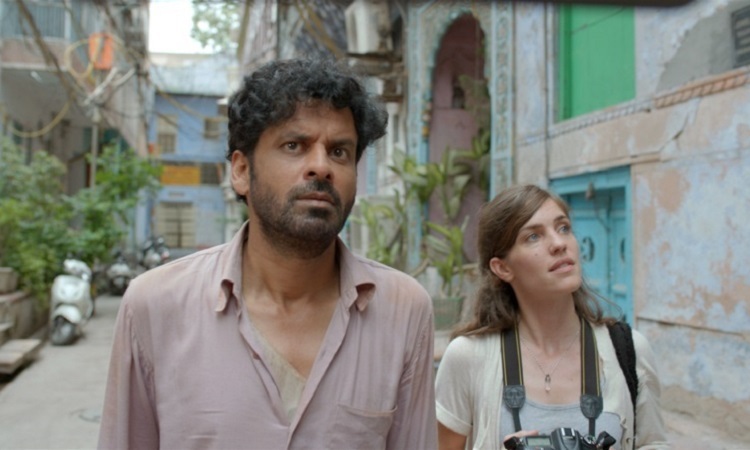 On Manoj Bajpai's face, all we see is despair, and a longing for a better life that we know will never be his. The meek can never inherit the earth.